My Sister Just Got Engaged, Now What? After you’ve broken out the champagne, but before you enter manic planning mode, you need to read this! So, you’ve just found out that your sister is getting married? Yay! You’ve not only got a rad new sibling to add to the bunch, but a fun year or so of parties, dinners, oh, and a wedding. If you’re feeling a bit of anxiety along with your excitement, don’t worry, you’re not alone. Weddings bring together lots of people and with them come family drama, complicated friend dynamics and mad dashes to keep Uncle So-and-So away from the open bar. 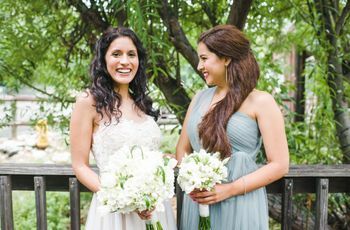 As the sibling (or one of the siblings) of a bride-to-be, you’ll likely find yourself doing a bit of a balancing act helping your sister when needed, but careful not to overstep or overshadow. Don’t worry, we’ll help you navigate this amazing, but busy time. Check out these essential “sister getting married” tips. Don’t rush to plan, just celebrate. You know how wedding pros always tell newly engaged couples not to rush into booking vendors, making guest lists and selecting floral arrangements? Well, the same goes for when your sister’s getting married. 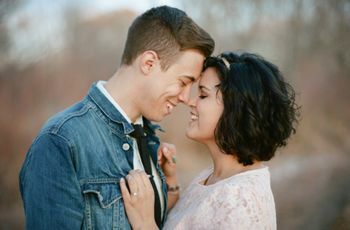 Whether you witnessed the proposal or heard the news after the fact, give yourself time to enjoy your sister’s happiness before rushing into planning mode. There will likely be lots for you to do over the next few months, but now isn’t the time to bombard your sister with questions or ideas. Let her tell you what your role will be. 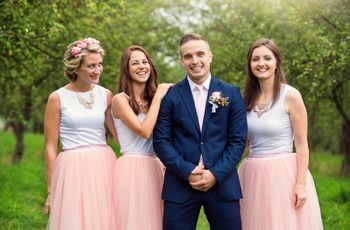 While siblings often make the best wedding attendants, you shouldn’t assume that you’ll be the maid/matron/man of honor. 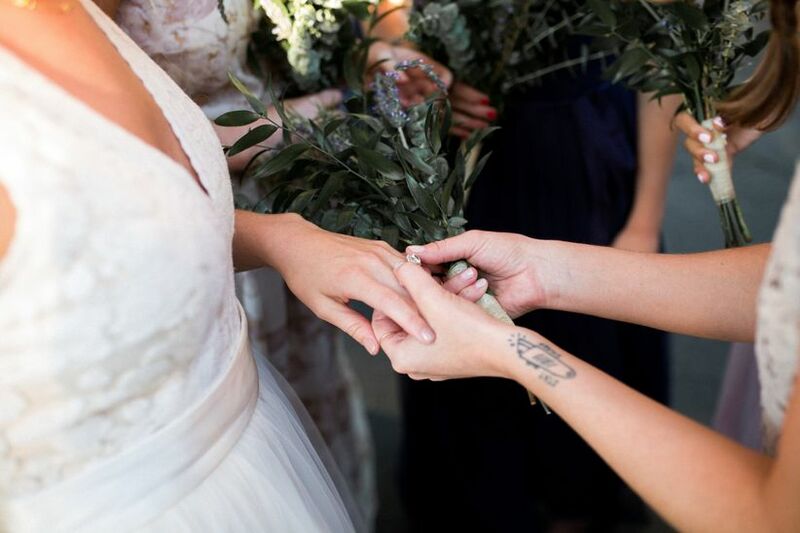 Choosing a bride squad is hard work, especially for women who might have many close siblings, cousins and friends, so give your sister some time to sort out what your role will be. A lot of factors go into selecting the MOH including your life milestones (for example, your sister may not want to burden you with the responsibility if you’ve recently started a family or went back to school). Try not to automatically see a different role as a slight. Remember it’s her time to shine. Lots of siblings are used to doing everything together — dance recitals to school dances to milestone birthday celebrations. And while your sister finding the love of her life is definitely a celebratory moment for you, ultimately, it’s her big news and her big day. Try to think twice before announcing the engagement on social media or telling distant relatives until your sister has had the chance to share the news in her own way. Don’t be afraid to use your insider intel. Best friends, shesh friends. You’ve known your sister her whole life (or close to it), so it’s absolutely your role to offer your lifelong expertise as you’re by her side during the planning. If you know she has the bladder of an octogenarian, find a way to shoo her away from dresses that’ll take hours to get off. If you know she has trouble making big decisions on an empty stomach, be sure your sister gets a taco before going cake tasting. Whatever they may be, you know her quirks like no other, so when your sister’s getting married, it’s time to use that knowledge for good. Get in where you fit in. 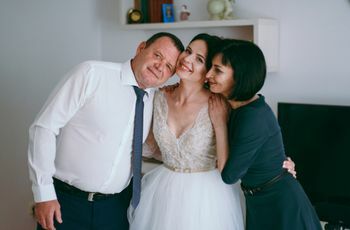 If you’re looking for ways to help your sister getting married, consider taking on the title of “Family Wrangler.” As a close member of the bride’s family, you have a unique perspective to offer because you can help to mediate tensions with your parents, grandparents or other family members who might have strong opinions about your sister’s big day (or engagement party, bachelorette or rehearsal dinner). 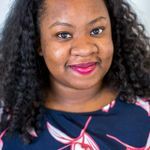 If you’re the older sibling, you’re an even better fit for the gig because you’ve probably always served as an intermediary between your baby sister and your parents, which she might find invaluable when negotiating with the ‘rents. Maybe wrangling isn’t your thing, but we bet there’s some other wedding task that needs a unique sibling touch. Whatever that thing is, consider yourself hired.